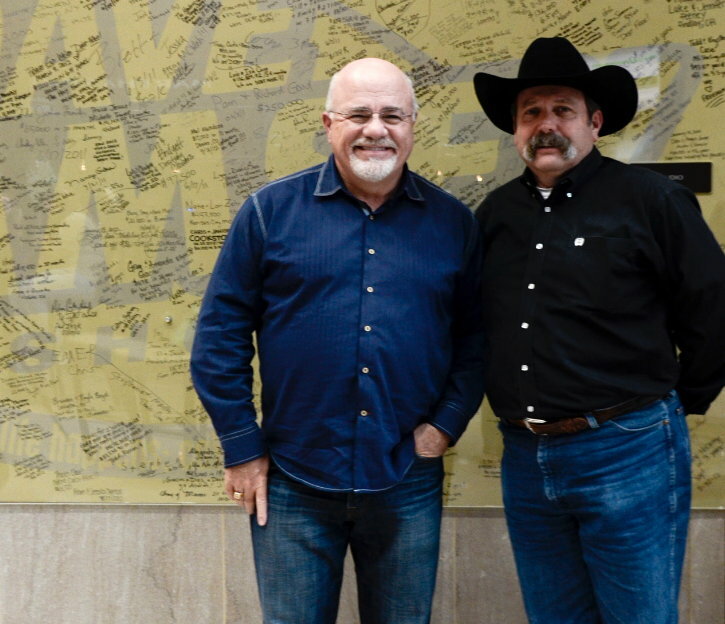 On a recent trip to Nashville, we visited radio show host Dave Ramsey at his studio. I’ve been listening to Dave for about 10 years now, so it was a real treat to be able to meet him in person. I like the fact that he’s a straight talker and his personal story also resonated with me (he’s a real estate broker too and, like me, weathered some tough times in the 80’s). During a break from his radio show, Dave was gracious enough to pose for a photo. I told him he was a good sport for ducking out during commercial breaks to meet with folks like me – and there were lots of us in the lobby watching him do his show – and he said he’s happy to do it. Besides, he added, if it wasn’t for his audience, he’d have to get a real job. No sugar-coating, just straight talk! By the way, that board in the background has been signed by folks who’ve followed Dave’s advice and got themselves debt-free.